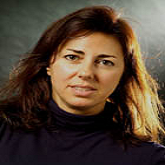 Dr. Sandra Cassotta joined ISDP in November 2014 as a non-resident Research Fellow under the ISDP’s Sino-Nordic Arctic Policy Program (SNAPP). She is currently Associate Professor in International Environmental Law at the Department of Law of Aalborg University (Denmark), and teaches Arctic Governance, Climate Change & Energy Law, Environmental Law and EU Law. Dr. Cassotta is Lead Author at the IPCC (Intergovernmental Panel of Climate Change – United Nations ) on Polar Issues from 2017-19, Adjunct Professor of Law at Western Sydney University, School of Law, International Centre of Ocean Governance (ICOG), and a Fellow at the Sustainability College Bruges – SCB (Belgium). She specializes in environmental damage and liability problems in a multi-level context. Included in her area of interests are human rights, law of the sea (UNCLOS), and environmental security (particularly that of the Arctic Ocean). Though a legal scholar, Dr. Cassotta’s approach is interdisciplinary, combining law with international relations, economics, and elements of (climate) environmental science, the ultimate purpose of which is to improve regime effectiveness. Her contribution to SNAPP will be a new approach to secure environmental problems in the context of the new climate change effects, especially in the Arctic area, given international environmental law and governance and a security–oriented approach. Climate change will be framed as a new collective security problem, as opposed to a mere “environmental problem”, with corresponding societal solutions drawn from law, integrated with the above-mentioned disciplines. Only by reframing climate change as the biggest collective security problem faced by humanity, and understanding it as a matter of collective security, will it be possible to design new paradigms around environment and security and vice versa. Dr. Cassotta was born and raised in Brussels. She holds a B.A. in language from the European School of Brussels (Uccle), an M.S. in political science from the State University of Milan (Italy), and Ph.D. in international environmental law from Aarhus University (Denmark). She worked for 14 years in the private and public sectors, and worked as media press and information officer at the International Olive Oil Council (United Nations aegis) for several years in Madrid (Spain), writing press releases, session reports of intergovernmental meetings, and official briefings for the executive director.